Instructor Gregory Soden writes -- As an American in Missouri, I grew up in one of the most religiously devout and politically conservative regions of the United States. Such an existence just never seemed quite satisfying, or as if 'this is it for me.' Saul Bellow, the great American writer, has a line in The Dean's December in which the main character is listening to a dog bark frantically and a moment of epiphany strikes him, 'For God's sake, the dog is saying, 'open the universe a little more!' "
The opportunity presented itself to work abroad and I went to open my universe. Living in Mexico, England, and Canada from 2007-2011 presented the opportunity of opening my eyes to the beautiful cultures, ideas, and languages the world has to offer. I returned from teaching abroad to Missouri with a fresh and opened viewpoint of the world and began teaching courses on religion, philosophy, and literature to midwestern high school students. The opportunity to teach about the religions of the world gives me the chance to interact and push my thinking and understanding of a dozen or so religions in front of American high school seniors. Together, we wrestle with ideas and philosophies of religions practiced by billions of people and then​, when we have a list of questions, we host guest speakers for question and answer panel discussions. Thus far, the 2016-2017 school year has given 60 high school seniors the chance to step foot inside mosques, synagogues, and shared Hindu, Jain, and Sikh spaces. We have hosted guests speakers representing Tibetan, Theravada, and Zen Buddhism, Hinduism, Jainism, multiple denominations of Christianity, including Mormonism, Baha'i, orthodox and conservative Judaism, and Sunni Islam. However, there are no known practitioners of mystic Sufi Islam in my city. So, with my questions, I reached out to writer Stephen Schwartz, hoping for him to participate in my class's question and answer. I am grateful to him for his participation. You can review our digital conversation below. 1. Have you ever felt a direct intense connection with God while spinning? Reply -- As a mystic and Sufi, through contact with Buddhism, Christian esoterism, Jewish Kabbalah, and Islamic metaphysics, I have found my episodes of transcendance and approach to the divine to have become refined, although such moments remain elusive. Turning on one foot, or spinning, is a practice of one major Sufi order (tariqa), the Mawlawiyya, named for Mevlana Jalalud'din Rumi. There are a great many tariqat (pl.) in the world, and not all spin. I am a disciple of Alevism-Bektashism, a spiritual movement with millions of Kurdish, Turkish, Balkan Muslim, and Central Asian followers. Alevis and Bektashis do not spin. Rather, we pursue transcendance through music, dance, and recitations by women and men. 2. What is the most important thing that determines if someone is a Sufi or not? Reply -- In Islam, we are cautioned against questioning one's spiritual choices. Today, only fundamentalists claiming the mantle of Sunnism engage in takfir, or arguments that people have become disbelievers because of their personal or collective practice of Islam. A Sufi is someone who says he or she is a Sufi. Of course, Sufis hope to present a good example for believers and non-believers. I would not recommend the habits of some Western Sufis, who interrogate prospective acolytes on their goals in life. In Muslim lands and Muslim minority communities, Sufis progress through divine grace, not through filling out a form. Western Sufism is not necessarily Islamic, but that is another issue. The West adopts many religious concepts from other societies, and that is good. 3. Are there any aspects of Sufism beliefs that differ from other parts of Islam? Reply -- Fundamentalists accuse Sufis of deviation from belief. I do not distinguish between Sufis and religious believers in general. 3. Are there any different dance moves for women and men or they dance the same moves? Reply -- I cannot speak for Mawlawi Sufis, whom I confess I know only superficially. In Alevism-Bektashism, women lead the dances, but the dance is the same for all participants. 4. What is significant about the dress and the meaning? 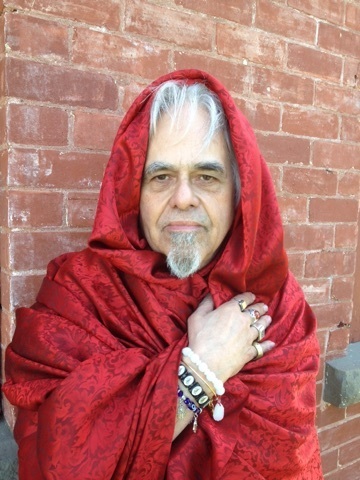 Reply -- Many Sufis adopt traditional 'prophetic' garb. Among Alevi-Bektashis, some babas -- clerics -- may wear a special costume at times, but most participants remain in Western street clothes. In Pakistan, Kizilbash people, who are a variety of Alevism-Bektashism, wear customary local dress. 5. Do you consider Sufism a religion or practice? Reply -- Sufism is an Islamic discipline. Alevi-Bektashis are currently debating whether to proclaim ourselves a separate religion, as that is our status in Albania and Kosovo. Our situation is difficult in Turkey because the Sunni fundamentalist establishment is reluctant to recognize our Islam. But we are millions, cannot all be killed, and are not going away. 6. Do you dance like a Dervish? Reply -- As a dervish at the lowest level, I participate in collective dance rituals. 7. Do you need to go to a temple for dancing? Reply -- Alevi-Bektashis hold our observances in shrines, meeting halls, concert venues, and convention centers. 8. If there were to be any kind of revision to the Qur'an, what revisions would be made and how would that go over with other sects? Reply -- Islamic Sufis would reject any revision of the sacred texts drawn from Judaism, Christianity, or Islam, although we have our own readings and interpretations of them. 9. At what moment during your dancing meditation do you realize you've made a spiritual connection? Reply -- Transcendance is ineffable and cannot be explained. The spiritual link is a constant of daily life. 10. Where does the traditional Sufi dance originate from? Reply -- This is an ethnological question we discuss among ourselves. There are many theories about the origins of Sufi observances. 11. Why is Sufism still tied to Islam, seeing as it is seemingly its own original religion? Reply -- Please see 5 above. The debate is considerable and will be reported in the websites of the Center for Islamic Pluralism. 12. Do you believe a person who practices Sufism has a closer relationship or link to God than a person who doesn't practice Sufism? Reply -- No. Transcendance may be attained during prayer or unexpectedly. We aspire to be 'friends of God' but, like Jews, see many such people who are not identifiable immediately, if at all. 13. Would the average Sufi consider themselves a Muslim? Would a non-Sufi consider a Sufi to be one? Reply -- Sufism is the majority form of practice in many Muslim lands and Muslim minority communities, such as Morocco, Turkey, Pakistan, and elsewhere. Debates over our legitimacy pit us against fundamentalists who often menace and murder us. 14, How do you deal with Muslims that believe Sufism is not true and is heretical? Reply -- If they attack us verbally or physically, we defend ourselves as best we can. Otherwise, we bless them on their journey, We do not refuse dialogue. 15. Why is Sufism not practiced by more? Why do Muslims not recognize Sufism as a part of Islam? Does Sufism have the reform Islam needs, or is that a hopeless dream? 16. How are Sufis different from the "mainstream" Muslims (i.e. Shia and Sunni) and how can these differences be bridged together? Reply -- Islamic Sufis consider ourselves to be Muslims, period. Numerous Sunnis and all Shias agree with us on this. 17. Do you think that Sufism is the reform that Islam needs for the 21st century? Reply -- We see Muslim lands as requiring political and social reform in which Sufis typically assume a leading role. The question is a delicate one, as indicated in 15 above. 18. How do you counteract the attitude that some other Muslims may hold that Sufis aren't "real Muslims"? Reply -- To emphasize, with words when attacked in words, in arms when attacked by arms. We do not surrender. Considering that in the Balkans and in Iraq and Syria millions of Sufis are on the front lines defending Islam, any claim that we are not authentic believers is, frankly, absurd. 19. Is Sufism frowned upon by other forms of Islam because they don't prioritize things such as visiting Mecca, praying 5 times per day, and reading the Quran in their free time? Reply -- Sufis do not have free time. We are God's servants. We love visiting Makkah al-Mukarramah, on hajj and whenever else we can, many of us pray 6 times daily beginning with the predawn prayer, and we read Qur'an continually. I always have a copy of the holy book with me. 20. What made you want to be a Sufi? Is there one specific reason and if so what is it? Reply -- Fifty years ago, at 18, I read the great Catalonian Catholic mystic, blessed Raimon Llull, who modeled some of his best writing about religion on Sufism as he knew it in medieval Spain. I understood instantly that this was something I wished to know. Sufism represents a bridge between believers. 21. I would like to know if Sufi women wear hijab? If they do, is it because of some verses in the Quran or is it for a different reason? Reply -- Our millions of Alevi-Bektashi mothers and sisters in the Balkans and Turkey do not conceal their feminine power. They dress as ordinary women do in the West. 22. My question is who came up with turning for Sufism? And where did it come from? Reply -- Turning was introduced, as far as I know, by Jalalud'din Rumi. 23. Do you celebrate Rumi's birthday? If so how? Reply -- I do not do so personally but would participate in such a celebration if invited. 24. Are there dietary restrictions on Sufis? Reply -- Islamic Sufis follow an Islamic diet. Some Sufis drink alcohol. Some have additional dietary prohibitions, such as a bar on eating rabbit. 25. One question we have is, why did you choose to be a Sufi over studying Islam? What drew you towards Sufism? Reply -- I did not choose Sufism over Islamic study. I pursue both, as most Islamic Sufis do. I was drawn to Sufism in a quest for transcendance. 26. Where would a non-Sufi go to learn more about Sufi practices and beliefs? Reply -- Depending on the country, one might simply visit a mosque. In some, a visit to a Sufi shrine would work. 27. When you were growing up did you grow up Sufi? Reply -- No. I am a recovering atheist. 28. What is the greatest misconception about Sufism? Do people (namely North Americans) even know about Sufism? Reply -- First, that we spend all our time spinning and in out-of-body experiences. Second, Sufism has always been and will always be misunderstood, along with most Christian mysticism and Jewish Kabbalah. All Muslims know about Sufism. 29, How long does it take to master the dance??? Reply -- Requirements for mastery differ among Sufi orders. 30. What is considered a sin in Sufism and what is the punishment, if any? Reply -- Mainstream Muslims including most Sufis are not sin-hunters. Allah alone judges. 31. What do Dervishes actually experience while spinning? Are they conscious or unconscious? Reply -- In the dance, we achieve heightened awareness. I have had many such experiences. I cannot draw a strict line between conscious and unconscious in these glimpses of the divine. 32. Are women required to wear hijabs or burkas in Sufism? Reply -- In Alevism-Bektashism, never. Many non Muslims fail to grasp that female cover is debated in Islam. Schwartz Note -- Mr. Soden, thanks very much for this opportunity and for your honor to Saul Bellow, whom I love. You are an excellent teacher, which is a high title in Islam. With many selams to all!